Come join us as we host one of our most adventurous tours of the year. 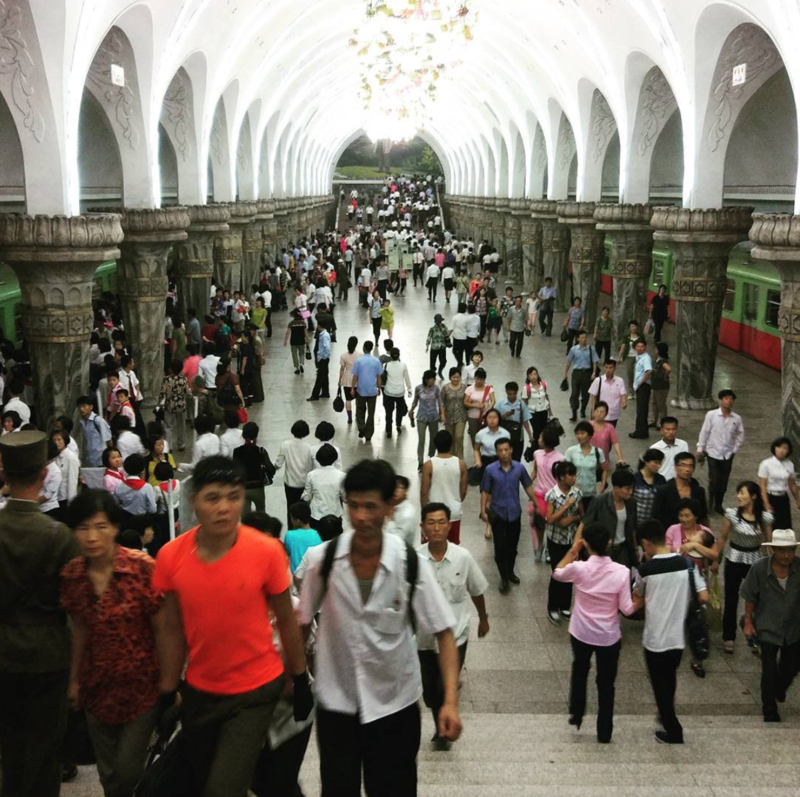 We’ve specifically designed this tour to give you the best opportunity to not only explore the less visited sights of the east coast but to also grant you a glimpse of everyday life in the DPRK. This tour will also cover the celebrations that’ll take place for their National Day that’ll include mass dancing and fireworks! 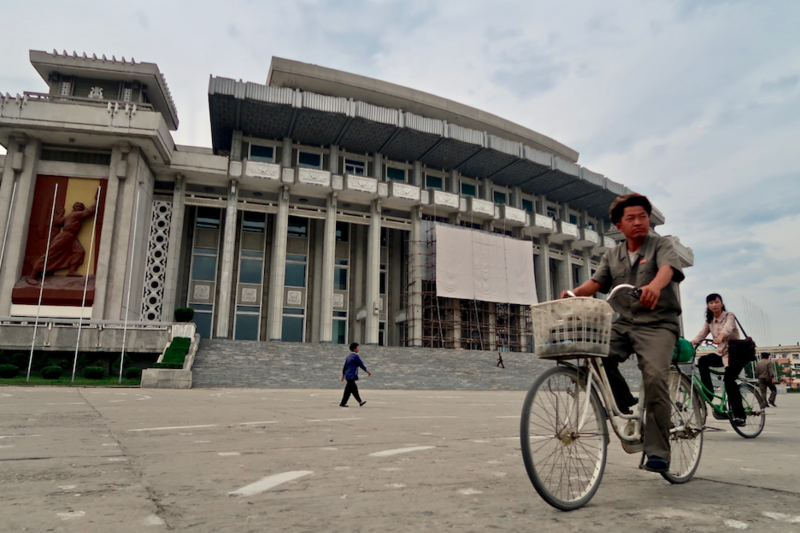 The tour will first take you to Hamhung city, the second largest city of the DPRK. Here we’ll explore the east coast’s largest fertilizer factory and some of the heritage sights surrounding the outskirts. During our visit to Hamhung we’ll stay at the Majon resort with a gorgeous beach located at the foot of our own private villas. 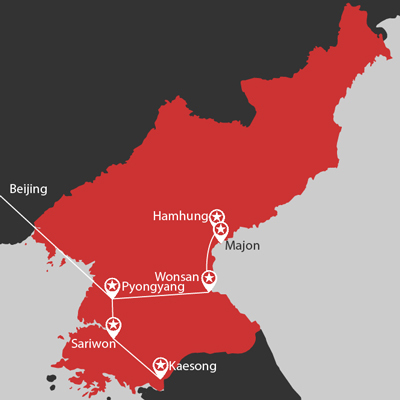 Onwards we’ll drop down to Wonsan city, the most famous beach city of North Korea. Here we’ll be able to mingle with the locals on the beach, play beach sports, swim and try some of our favourite soft-serve ice cream in the country. 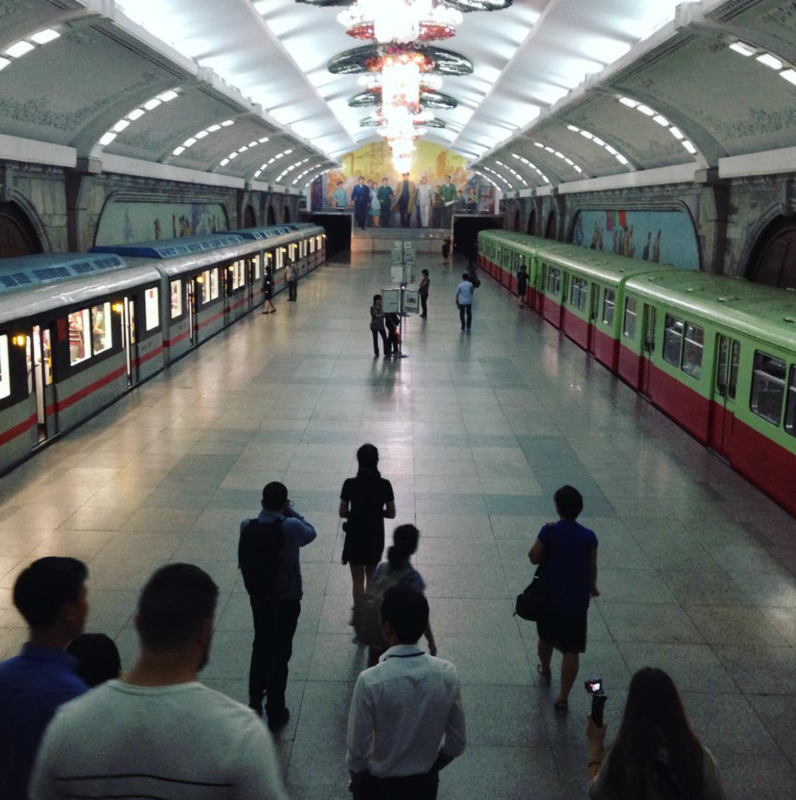 Once we return back to Pyongyang we’ll visit the Korean War Museum, the Mausoleum where Kim Il Sung and Kim Jong Il lay in state, the Juche tower, Kim Il Sung Square and an incredibly unique visit of almost the entire Pyongyang Metro. 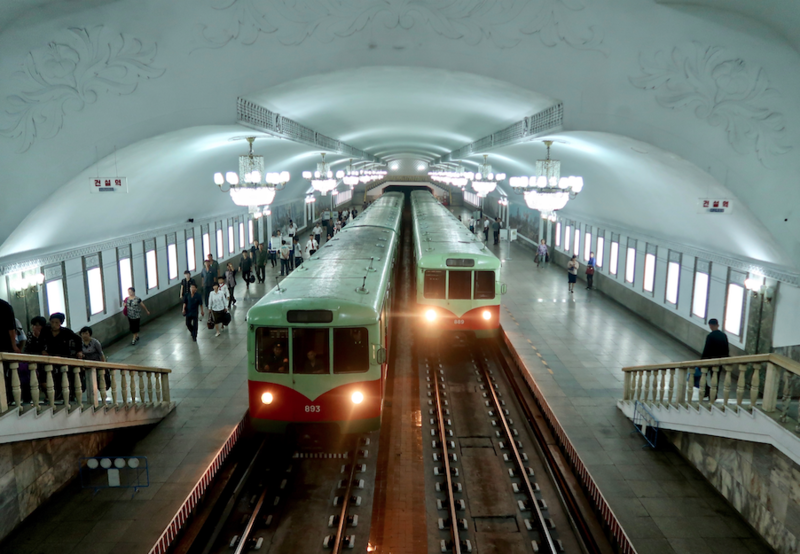 We’ll explore 13 out of the 16 mysterious metro stations that are spread 100 metres underground the city on both Line 1 and 2! We’ve organised this the day prior to the National Day celebrations which will provide us busy shots of the Pyongyang life underground. Finally to make your Unseen DPRK Tour more complete we’ll also visit the infamous DMZ where we’ll be able to take photos of the soldiers! 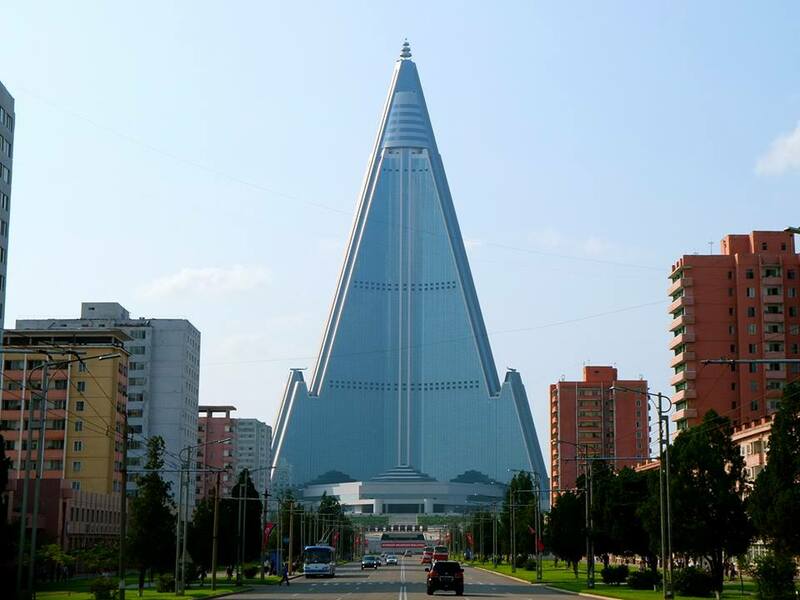 During our overnight stays in Pyongyang we’ll be staying at the lavish and super deluxe Koryo Hotel. 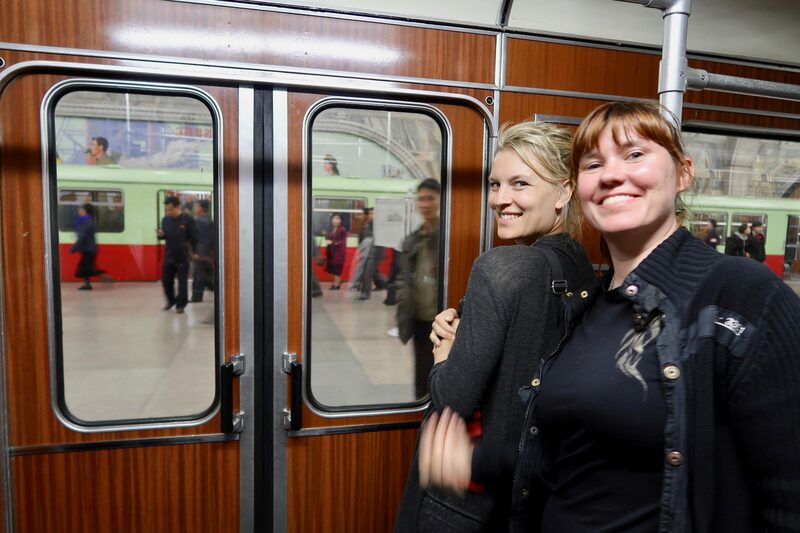 So come join us as we show you one of the most in-depth tours into the DPRK! Flight takers depart Beijing Airport Terminal 2 on Air Koryo at 12:30pm (meet group at Air Koryo check in counter). Check in and overnight at the Koryo Hotel. Check out and drive to Hamhung city – this city has only recently been opened to foreigners and is the DPRK’s second largest city and a centre of industry on the east coast of the peninsula. On the way we’ll stop at Sinphyong Lagoon for refreshments and photos. Picnic lunch at Ulim Waterfall – one of the most famous and beautiful waterfalls in the DPRK. Visit the Tongbong Co-operative farm – here we’ll see how farmers out in the rural areas work with their latest machinery, visit a family’s home and join the nursery school for classes. Here’s a great chance to bring something nice for the children such as candy, stationary or toys. Visit the Statues of President Kim Il Sung and General Kim Jong Il in the grand square of Hamhung city. Walk to the pagoda on the hill to overlook the main strip. Dinner, drinks and overnight at the Majon Resort – here we’ll have our own private beach with other recreational facilities such as billiards and karaoke. Drive down to Wonsan City – the best beach city in DPRKorea! 2.5 hours driving. Trip highlight! – Swim at Wonsan beach and hang out with the locals! Walk along the pier to Chok Islet where the locals will be fishing, drinking and enjoying BBQ – we’ll have the chance to eat some locally caught seafood on the pier! Optional 5 euros extra. 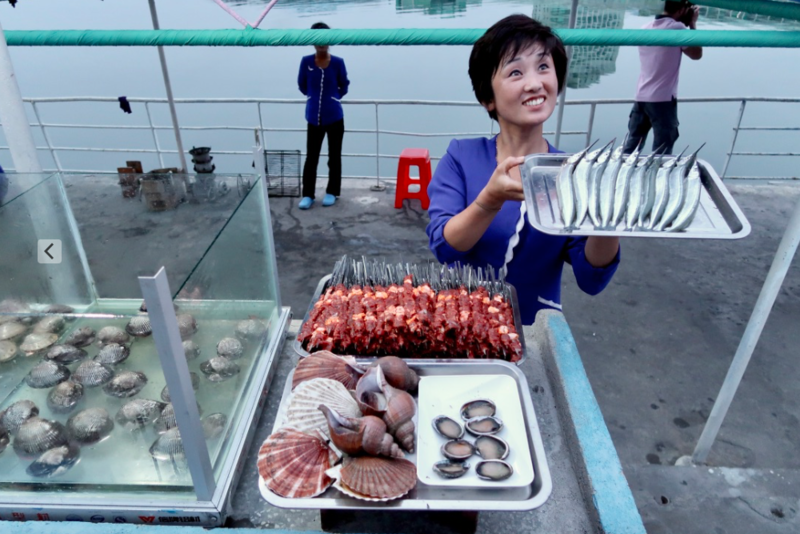 Dinner at the famous Wonsan seafood restaurant, a local highlight. Drinks and overnight in Tongmyong hotel which overlooks the gorgeous bay. Walk around the central square and near the port in the city and see the DPRK Mangyongbong-92 cruise ship with an explanation. Visit the former Railway Station Revolutionary site where an old Japanese built steam engine rests. Lunch at a local Wonsan restaurant to sample some famous local dishes. Drive back to Pyongyang (5 hours) stopping along the way for refreshments. Stop by the Tomb of King Tongmyong – the founder of the ancient Goguryeo kingdom. Dinner at the famous Duck BBQ restaurant in Reunification District. Drinks and overnight at the Koryo Hotel. Lunch at Moranbong Chicken Restaurant. 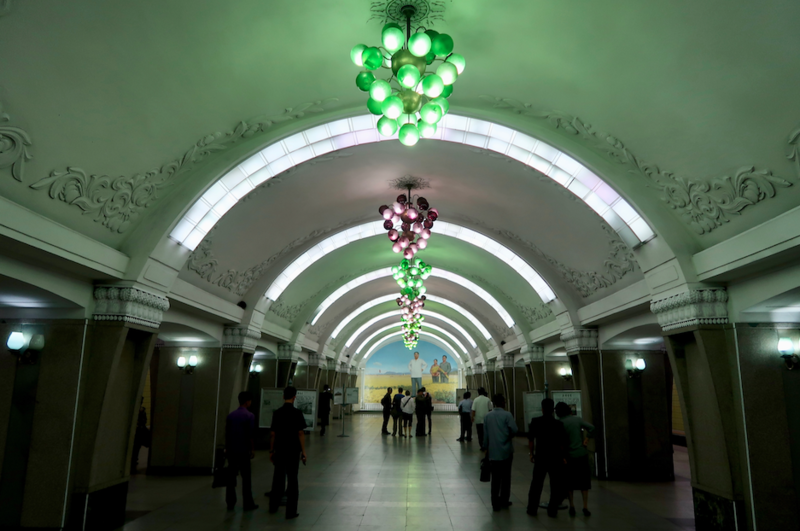 Trip specialty – explore 13 out of the 16 underground Pyongyang Metro stations of both Line 1 and 2. 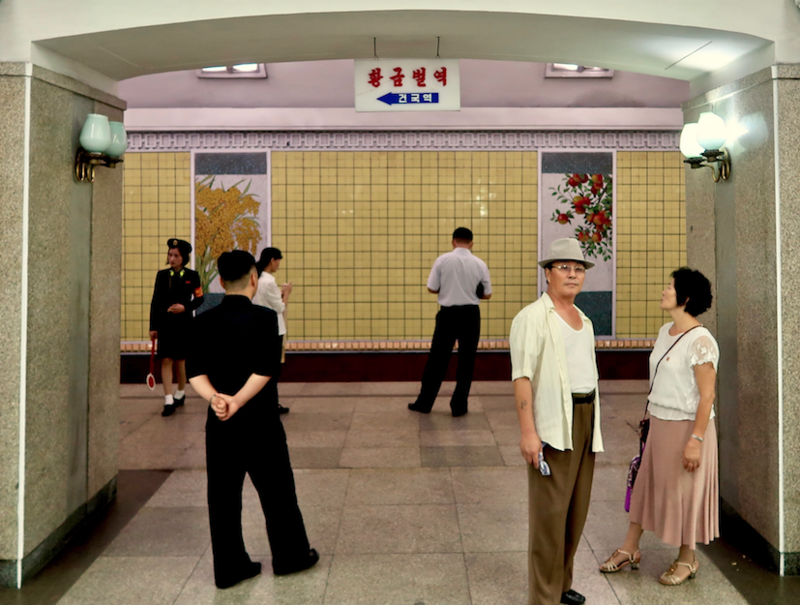 Tourists visiting Pyongyang rarely have this insight and will be a perfect opportunity to snap some rare shots! Visit Taedonggang Brewery #3 for coffee and local draft beers. Flight members depart at 9:00am for Beijing on Air Koryo and arrive in Beijing 9:55am. Special National Day events: Fireworks! 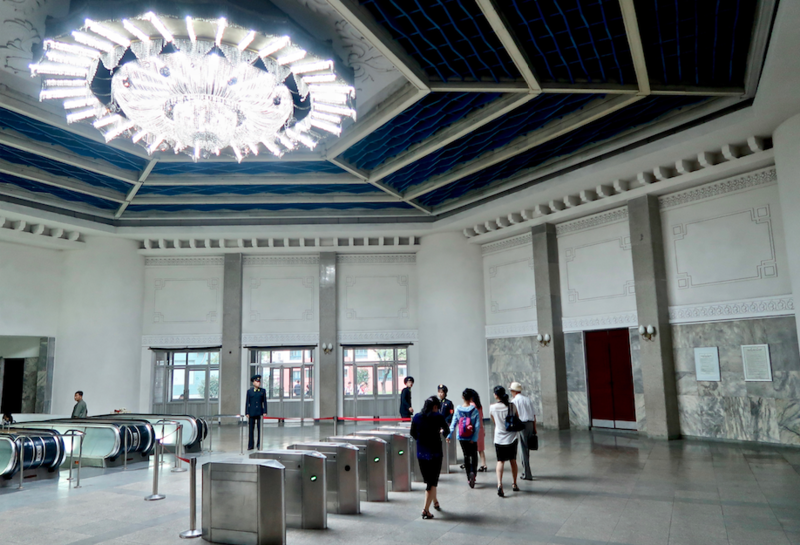 Explore 13 stations of the Pyongyang metro - this is only allowed under special circumstances, so be one of the few to get an in depth look and rare photos of the world’s most unknown subway system. 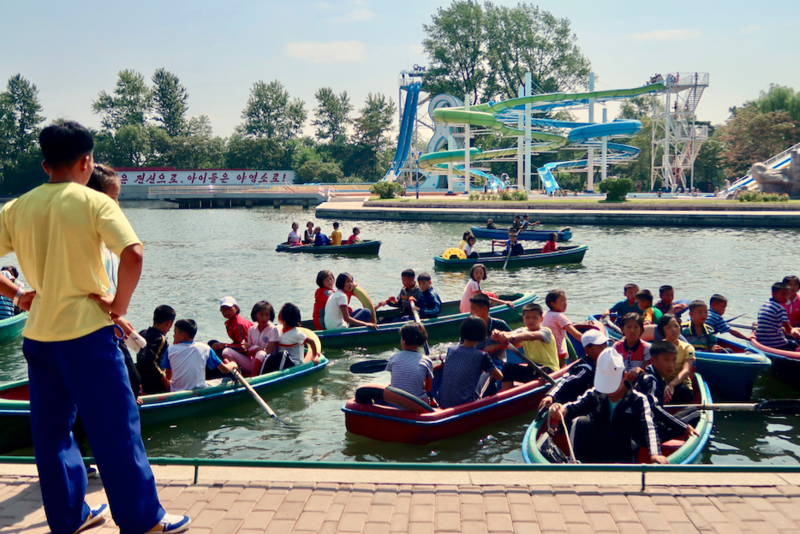 Visit Hamhung - the rarely seen second largest city in the DPRK. 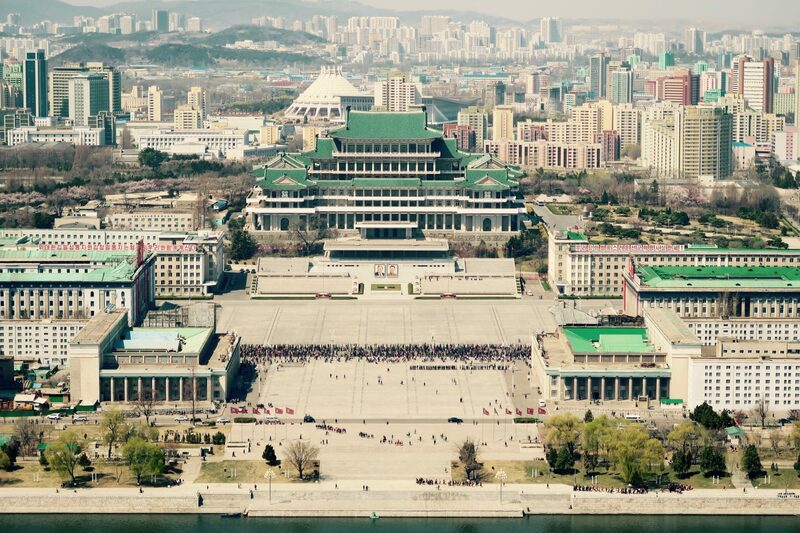 Visit all the famous must see sites of a Pyongyang tour - Kumsusan Palace of the Sun, the DMZ, the Korean War Museum and all the grandest monuments.